Sheelagh Carpendale is a Professor at the University of Calgary where she holds a Canada Research Chair in Information Visualization and NSERC/AITF/SMART Industrial Research Chair in Interactive Technologies. She leads the Innovations in Visualization (InnoVis) research group and initiated the interdisciplinary graduate program, Computational Media Design. Her interactive visualization research draws on her combined background in Art, Design and Computer Science. Vincent Loubière is lead technologist for the Emerging Technologies and Concept team at Airbus. He has a MEng in Structural and Electrical from ESTP Paris and a MSc in Aerospace Vehicle Design from Cranfield University. Vincent leads collaboration with MIT on digital materials in movement toward a digital airplane. He is the founder of the ProtoSpace, a set of facilities and tools established across Airbus main sites enabling applied agility across the company in facilitating rapid iteration of concrete design and prototyping. 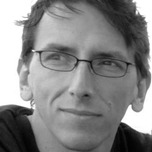 Daniel Piker is a researcher on the use of computation for design and realization of complex forms and structures. After studying architecture at the AA, he has worked as part of the Advanced Geometry Unit at Arup, and currently for the Specialist Modelling Group at Foster+Partners. Rob Mueller is a Senior Technologist for Advanced Projects Development at NASA in the Exploration Research & Technology Programs, and is the cofounder of KSC Swamp Works and Granular Mechanics & Regolith Operations Lab where he leads the development of technologies required for the utilization of resources on asteroids, Earth’s moon and Mars. Rob has received a BSc in Mechanical Engineering from the University of Miami, a MEng in Space Systems from TU Delft, and an MBA from the Florida Institute of Technology. Kendra Byrne is a creative technologist who has worked with a variety of technology firms including Bot & Dolly and Google [x]. While at Bot & Dolly, she leveraged her diverse background to develop accessible interfaces and tools that could reinvent how creative professionals understand and interact with robots for industries as diverse as Hollywood, live entertainment, and fabrication. She is currently incubating innovative products and concept applications at Google [x]. Phil Bernstein is a Vice President at Autodesk, a leading provider of digital design, engineering, and entertainment software. He leads Strategic Industry Relations and is responsible for the company’s future vision and strategy for technology as well as cultivating and sustaining relationships with strategic industry leaders. Prior to joining Autodesk, he was a principal at Pelli Clarke Pelli managing many of the firm’s most complex commissions. Phil has taught Professional Practice at the Yale School of Architecture since 1988. Anders Logg teaches Computational Mathematics at Chalmers and is a scientific advisor to the Fraunhofer Chalmers Centre. He is director of the Swedish Network for Mathematics in Industry and a member of the EMS Applied Mathematics Committee and Swedish National Committee for Mathematics. His research centers around mathematical methods and advanced simulation. He is cofounder of the FEniCS Project, an international project for the development of novel simulation methods and software. Chris Williams is a structural engineer who worked for Arup prior to joining the University of Bath. He interests lie in the relationship between geometry and structural action as applied to bridges, shells, tension structures and tall buildings. Using bespoke computer programs he generates complex and organic forms for architectural and structural applications. He has worked with architects and engineers at Foster + Partners, Rogers Stirk Harbour + Partners, Wilkinson Eyre, Edward Cullinan, Atelier One, and Buro Happold. Kasper Stoy PhD is an Associate Professor of Robotics and Artificial Intelligence at IT University of Copenhagen where he heads up the Robots, Evolution, and Art Lab (REAL). His key contributions are in the areas of multirobot coordination, swarmrobotics, and modular robotics. He is currently PI of the E.U. funded project FloraRobotica, which explores the potential use of plantrobot symbionts in an architectural context. He is also cofounder of both Universal Robots and Flow Robotics. Aleksandar Matic holds a Senior Research Position from the Swedish Research council directed towards Soft Matter Physics and is also the head of the Condensed Matter Physics division. The research spans from fundamental investigations of glass formation, gelation and colloidal aggregation to applied projects on new electrolytes for Libatteries and fuel cells.